ABOUT: Funding for art curriculum in Detroit public schools has been nearly nonexistent. Cutting art programs have deprived children of the opportunity to express themselves through a creative outlet and hurts their future. 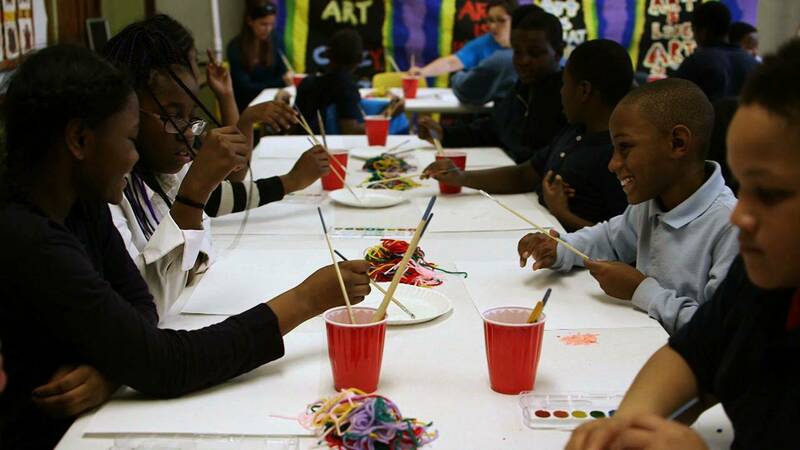 Art Road provides special arts activity classes, including supplies and an instructor, at no cost to elementary schools that lack art programs. The classes are single- or multi-day sessions that introduce children to the work of artists, provide historical perspective, and bring the entire experience into focus with hands-on creative arts projects such as painting, drawing, sculpture or mixed media. There are benefits for all children with Art Road classes: increased interest in school, improved test scores, better problem solving skills, a creative outlet to pressure from family or peers, and a sense of pride and accomplishment.